Islam Around Us: Pakistan releases seven Afghan Taliban prisoners. Pakistan releases seven Afghan Taliban prisoners. 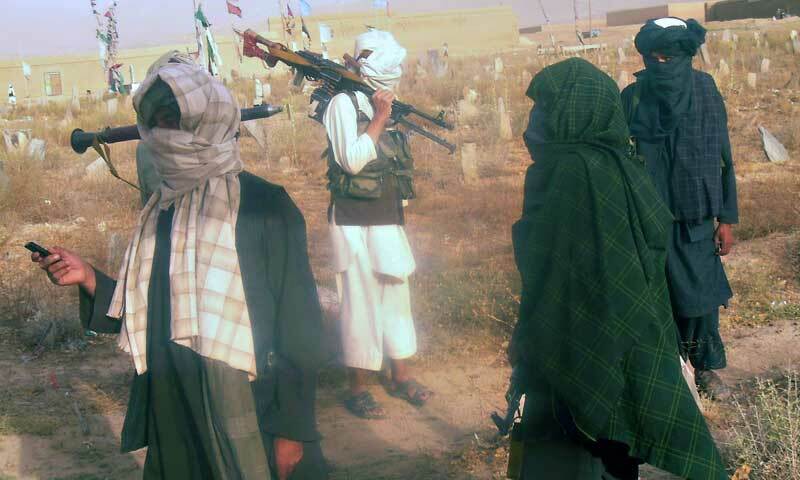 ISLAMABAD | KABUL | 07 Sep 2013 :: Pakistan freed a group of Afghan Taliban on Saturday in an attempt to improve its troubled ties with its South Asian neighbour, but risked angering Afghanistan further by not handing them over directly to the Kabul authorities. The announcement followed last month's trip by Afghan President Hamid Karzai to Pakistan, where he sought the handover of some Afghan insurgents as part of the stalled peace process. Karzai as well as the United States want Pakistan to hand the insurgents directly to the Afghan authorities, but on Saturday, a group of seven Taliban was simply allowed to walk out of their cells into Pakistan. “In order to further facilitate the Afghan reconciliation process, Pakistan is releasing seven Taliban detainees,” the foreign ministry said in a statement. A foreign ministry spokesman separately said all seven, including a senior commander called Mansoor Dadullah, were freed on Saturday. The other prisoners are Said Wali, Abdul Manan, Karim Agha, Sher Afzal, Gul Muhammad and Muhammad Zai. Pakistan is said to have backed the Taliban's rise to power in Afghanistan in the mid-1990s and is seen as a crucial gatekeeper in attempts by the US and Afghan governments to contact insurgent leaders who fled to Pakistan after the group's 2001 removal. Al-Shabab attacks Kenyan border towns. Violence claims 33 lives in Iraq. Deadly blasts hit Baghdad markets. Iraq clashes, attacks kill 25. Suicide attack on Pakistani church kills 75. Pakistan again violates ceasefire in Kashmir . Kenya mall hostage crisis continues, toll 59 . Syrian Troops Attack Sunni Village, 15 Killed. Iraq mosque blasts kill 16 people. Blasts kill Pakistan Army officers. Syria to target Israel if US attacks. Iraqi mosque bombing during prayers kills 30. Qaeda calls for attacks inside United States. Afghan Taliban strikes near U.S. consulate. Curfew relaxed in India’s riot-affected state. Iraq officials say bombings kill at least 14. Communal riots spread in north India, 28 killed. China school blast kills two, hurts 34. Egyptian army bombards Sinai militants. Bomb wounds 11 at Pakistan girls school. Rocket fired by Afghan police kills 6 children. Egyptian interior minister survives car bombing. Iraqi Shia family targeted in deadly attack. Lebanon braces for US strike. Egypt’s Sinai emerges as new theater for jihad. Israel confirms testing missile jointly with US. Spate of Iraq attacks kills 13. Seven million displaced in Syrian conflict. Two bombs explode near IDF patrol on Gaza border. Israelis divided over fallout from Syrian attack. Boko Haram kills 44 people in Nigeria.